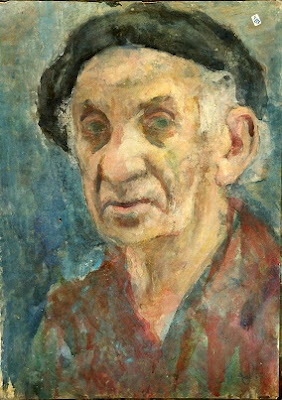 The Durban Holocaust Centre is hosting the Celebration of Life Exhibition – the life and journey of artist David Labkovski. The exhibition was opened on August 16 by Leora Raikin, founder of the David Labkovski Project. South African born and living in Los Angles for the past two decades, lecturer and speaker, Raikin is an educator, artist and author. As Founder and Executive Director of the David Labkovski Project (DLP), she co-developed an educational program to teach students about Eastern European life before, during and after the Holocaust through the art of Lithuanian-Israeli artist David Labkovski (1906-1991). She served as the keynote speaker for Chapman University’s Holocaust Remembrance Evening. Past speakers have included Elie Wiesel and Professor Judea Pearl. She also served as keynote speaker for the Jewish American Holocaust and Literature Conference. Raikin lectures throughout the United States, addressing a wide variety of topics including the Diaspora Jews of South Africa, The Life and Art of David Labkovski, Using Art as a Tool to Document and Educate, and Tribal Arts through African Folklore Embroidery. She also serves on the Council for Judaic Arts and on the teaching faculty at American Jewish University and Camp Ramah. As the founder of African Folklore Embroidery, she focuses on educating both teachers and students about tribal art. Raikin served as artist in residence at Temple Aliyah in 2016, and has spoken at Skirball Cultural Center, Ford Amphitheater, Merage Jewish Community Center (Irvine), LAMOTH, Temple Eitz Chayim, Chabad West Hills and Pomegranate conferences. She was featured artist for the city of Temecula in 2015. She has a Business Science and a Masters in Research from the University of Cape Town, South Africa. She served at Vice President of NATO (North American Testing Organization- 1999-2004) and prior to that as Senior Research Consultant at Robert Charles Lesser & Co. While living in South Africa, She was Marketing Director for Broll Property Group and founded Strategic Property Research. The Durban Holocaust Centre is situated at the Durban Jewish Centre, corner K E Masinga and Playfair Roads.